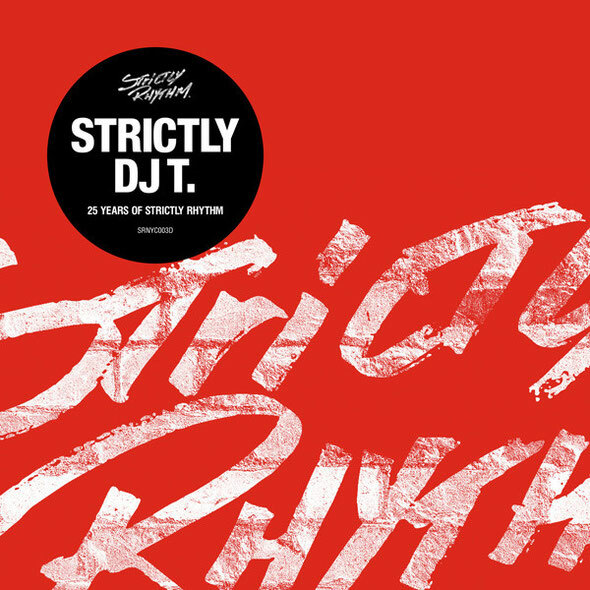 Celebrating a landmark anniversary for one of the most influential house music labels of all time, ‘Strictly DJ T.: 25 Years of Strictly Rhythm’ is a new mix album celebrating the rich musical history of the legendary imprint. Mixed by Get Physical founder and long-term Strictly fan DJ T., the compilation includes tracks from Strictly artists including Logic, Aly-Us, DJ Pierre, Hardrive, DJ Sneak, Wink and many more, with a brand new edit of each track provided by DJ T. himself. Strictly Rhythm first opened its doors in 1989 and quickly gained a following among club DJs thanks to a series of quality underground tracks by the likes of Roger Sanchez, Todd Terry and Kenny Dope. In 1994 Strictly notched up its first crossover hit with Real 2 Real’s ‘I Like To Move It’, a feat it was to repeat several times during the next decade. T’s love affair with Strictly Rhythm began in 1990 during a transitional period both as a DJ and a club goer, from black music and broken beats to early electronic dance music. This was the year that T purchased his first Strictly record – Logic’s ‘The Warning’ – and was immediately hooked on the pioneering sound of the label. The tracklist for the two distinct mixes are made up of the some of the label’s ‘big hits’ and some of DJ T’s personal favourites: records that have flown under the radar like Audioclash ‘Libe And Dide’ and the Whipped and Turned Mix of Reality Check's ‘Fantasy’: two under appreciated records that T has brought back into the limelight. To make the mix flow seamlessly, T has edited each of the records included from the often tricky to work with originals. “These old tracks don’t really have a mix-friendly intro and outro; they often just fade out or stop abruptly,” says T. “I wanted to make these classics easier to use in contemporary sets. 'Strictly DJ T.: 25 Years of Strictly Rhythm' is out 1 March (vinyl) and 8 March (2CD / Digital) on Strictly Rhythm.